How to convert CR2 Photos to JPEG2000 easily? 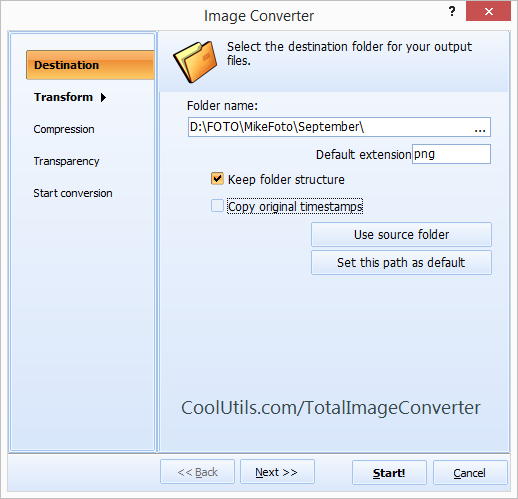 You are here: CoolUtils > Total Image Converter > How to convert CR2 Photos to JPEG2000 easily? 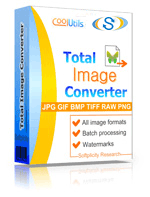 The Total Image Converter was developed to help Canon camera users convert their raw CR2 image files into cutting edge, multipurpose JPEG 2000 images. Imagine you've just returned home from an adventure. Excited to view and share your pictures, you plug your Canon camera into the computer only to discover that it has saved all your images in the proprietary CR2 format. In order to play with your pictures, you'll first need to convert them into a more user-friendly format. That's where the Total CR2 to JPEG 2000 steps in. Wider range of supported colors. When using the Total CR2 to JPEG 2000 Converter tool you will soon discover why the JPEG 2000 format is considered by many to be the new industry standard of excellence used in everything from HDTV and Digital Cinema, to motion detection, satellite imagery, and even the Mars rover! With the Total CR2 to JPEG 2000 Converter you'll have access to a state of the art image quality production app second to none. Whatever your visual project goals, we can help you reach them! 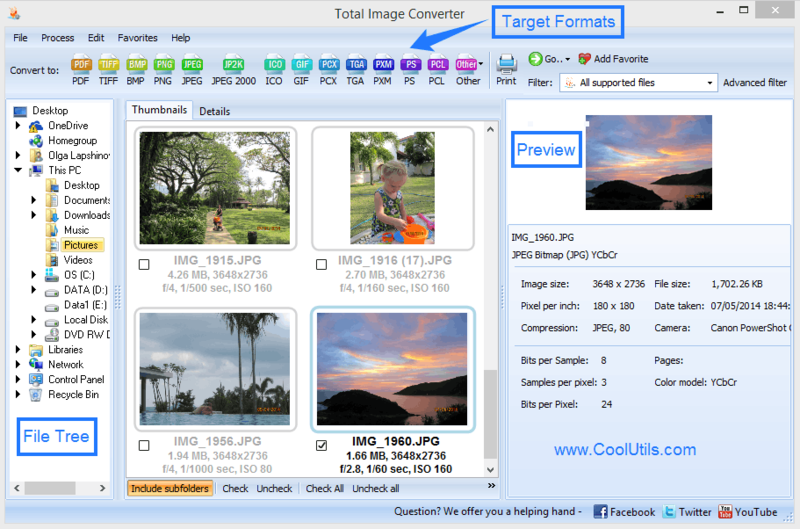 Check out our user-friendly Total Image Converter today through our free 30-day trial! While you're at it, discover some of the other proprietary image file formats that we can help you convert to JPEG 2000 including: CRW, RAW, DNG, NEF, SRF, ORF, BAY and MRW and more! Convert CR2 to PCX in batches automatically.